The 2017 Fall Wildlife Conservation Expo was an unforgettable day of inspiration and remarkable moments. Whether it’s hearing news from your favorite conservationists about their work in exotic locations or soaking in an environment surrounded by people who have a heart for protecting endangered species, it’s hard to not come away feeling energized and ready to save the planet. We hope everyone left the Fall Expo with special memories that will last a lifetime. For us, these are the Top Five unforgettable moments of the day. 1. After battling the most catastrophic wildfire in California history, one local Sonoma firefighter thought she had missed her opportunity to hear Dr. Jane Goodall speak at the Nourse Theater. At the very least she hoped to get a recording of the presentation but instead, she got a whole lot more. 2. Our 17 WCN conservation partners protect species in 37 countries around the world in a variety of environments. From the plains of Africa, to the high peaks of the Himalayas, to the deep blue ocean and the tropical forest, every partner has a different story to tell. Their successes and their challenges are all a part of saving wildlife. The presentations this year were as passionate and inspiring as ever, serving as a bridge between conservationists in the field and their supporters who want to know what they can do to help. 3. A tradition of the Fall Expo has always been to include guest speakers from outside of the network to present their remarkable programs. This year we heard from Dr. Julian Fennessy and Stephanie Fennessy from Giraffe Conservation Foundation who have been sounding the alarm for the silent extinction facing the world’s tallest land animal. Dr. Sam Williams from The Ara Project in Costa Rica introduced us to the Aston-Martin of the bird world, the Great Green Macaw. Dr. Asha de Vos from Oceanswell took us to the depths of the ocean to discover the secrets of the mighty blue whales of Sri Lanka and Kristine McDivitt Tompkins showed us that it’s not too late to bring tarnished landscapes back from the brink of destruction. 4. For us, the Expo is about inspiring people of all ages to get involved with conservation. 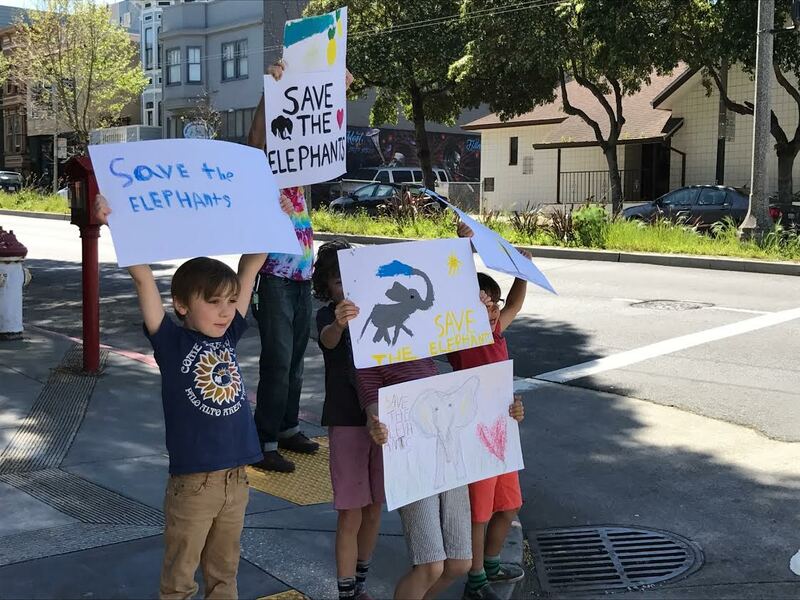 That’s why we were so excited to see this picture of seven-year-old Arlo, who put together a lemonade fundraiser with his friends in April that raised more than $156 dollars for Save the Elephants. When October rolled around Arlo was very excited for his chance to see Dr. Jane Goodall speak and to experience the Fall Expo. We look forward to hearing more from this budding conservationist! 5. Number five on our list is more of a milestone than an event. WCN’s audience is worldwide but our Fall Expo is held in the San Francisco Bay Area. This year, we were blown away by the WCN superfans who made the pilgrimage from miles around. We had attendees coming in from 33 different states and four different countries! If you weren’t able to attend or you would just like to relive the experience, you can still catch the presentations here. We hope everyone had an excellent time and of course, we hope to see some familiar faces and some new ones for the Spring Expo!